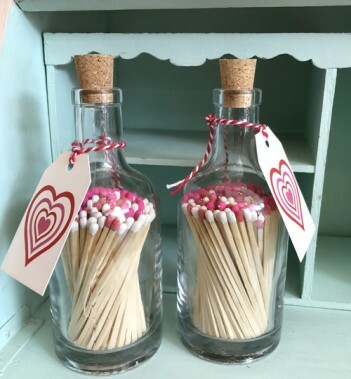 Lovely glass bottle with cork stopper containing long matches with pink, red and white tips and a heart design on the tag. Contains approximately 125 matches. Bottle is 19cm high and 7cm wide at base. Please note the information on our website regarding sending glass items to you.